Herein lay the challenge. Effective online marketing is filled with nuances and subtleties. Let’s try to explain the power of nuance through this mathematical example. This appears pretty straightforward, but is the answer one or is the answer seven? Six minus one times zero plus two divided by two. I'm sure most of you got this correct. The correct answer is seven. Why? Because you've got to pay attention to the order of operations in a mathematical equation. You start from left to right. Multiplication and division come first. So we start with one times zero.. One times zero equals zero plus two divided by two equals one, then we go back to the left. Six minus zero plus one equals seven. Why did I share this with you? Because subtleties and nuances like this are critical in the online world. Everything looks simple like our math problem. While PARTICIPATION in the online world is simple, online marketing requires more than just participation. It requires a process. As we see with the math problem, if we use the wrong order (i.e. process), we get the wrong answer and the same thing happens in the online marketing world. If we miss the nuances and subtleties and we follow the wrong process, we're going to get the wrong result. Typically, this mitigates our effectiveness, even though we may have done a lot of work. You certainly don’t want to spend a lot of time working on something and have no result, do you? Our Maxim - While online marketing may look easy, results are predicated on following a specific methodology and following the subtleties within those. 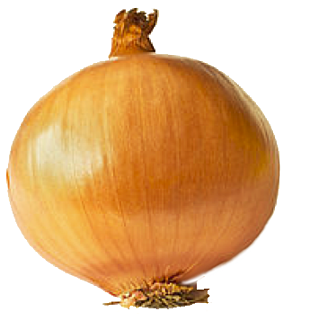 While you're probably looking at that and saying, “Obviously, it's an onion,” keep in mind we are on the topic of subtleties. You are correct, some of us could look at that as one onion, but in reality what it really is, is a series of integrated layers that create the onion. Metaphorically speaking, it is those integrated layers of the onion we need to be cognizant of when it comes to online marketing and growth. Let’s look at one example from the online world which highlights the difference between the onion and the layer. Let’s look at the concept of Facebook Ads. Everyone talks about it. It is certainly very easy to fill out the forms to run those ads, but do you know what is required to generate results? In our metaphor, the person who thinks running the ads are easy probably is seeing the “onion” and not the layers. They may be thinking they already use Facebook and that is easy. Filling out the ad form is easy. So, they too can command this Facebook Ad process fairly easily. Let’s contrast that with the online marketer. These folks would be looking at the layers of the onion. 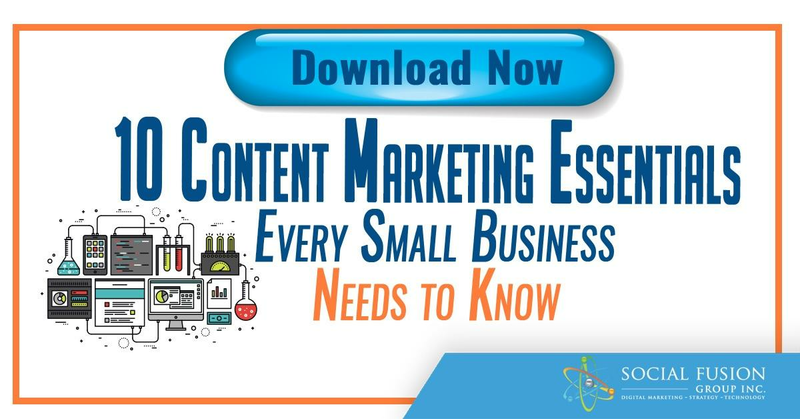 They understand the ads require a process and would be looking at all the key elements required for Facebook Ads beyond simply filling out the form. They would focus on things like: setting up a campaign and goal, attracting the correct audience, putting together the ad creative, setting up the most effective copy for the landing page, with of course tracking and testing. This highlights the nuance for effective online marketing. 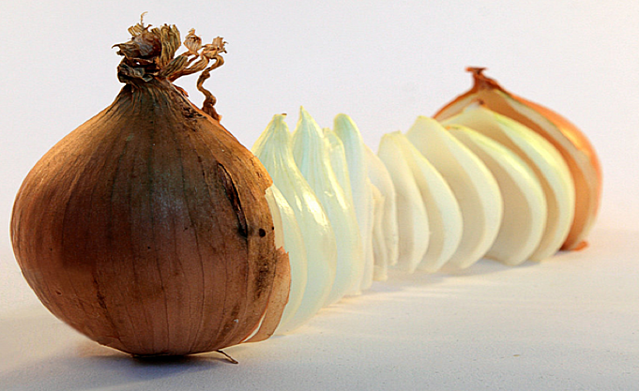 The person who sees the onion is missing many of the key elements of the process, while the person focusing on the layers of the onion is working on effectively connecting all of the key elements. Who do you think will generate the most success? When you think about the layers in the online world, they are numerous. There are all types of business functions occurring online. 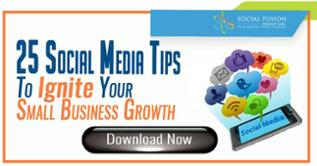 There are directory sites, social sites, review sites, content sites, video sites, location base sites and much more. Given all of this “noise,” are you looking at the onion or are you looking at the layers? It is tempting to simply want to see the onion, but effective online marketing requires a detailed focus on the layers. Again, just think of our earlier mathematical example. If we follow the wrong order, we're going to get the wrong result. Same thing in marketing, you need to be following the layers and ensure they are integrated together effectively. 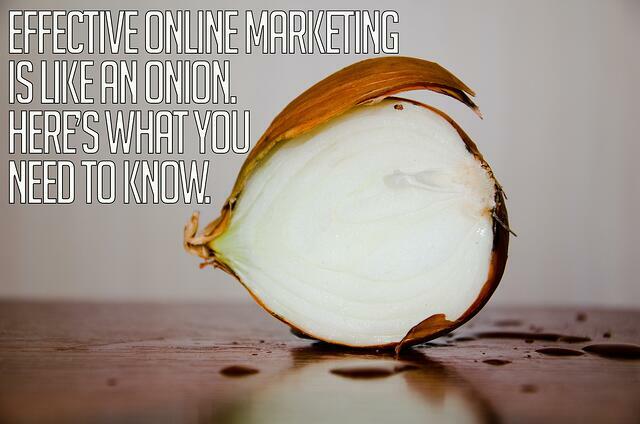 Effective online marketing is like following the layers of the onion. Connect all of your dots, address the nuances and subtleties, and increase the effectiveness of your online growth.